Tom Glocer and Howard Edelstein have been appointed as Strategic Advisors to Algomi's Board. Algomi, an information network for fixed income trading and liquidity, has appointed Tom Glocer as a Strategic Advisor, joining the group with standout accolades in the financial services industry. 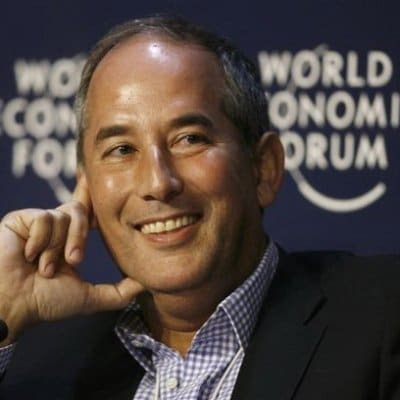 Mr. Glocer worked as the former Chief Executive Officer (CEO) at Thomson Reuters and the Reuters Group for over a decade. He will step into an advisory level role at Algomi, bringing his expertise and industry perspective to the group’s liquidity capabilities across corporate bond markets. Mr. Glocer was one of the key drivers behind the formation of Thomson Reuters culminating in a CEO appointment. Despite stepping down in 2012, he now serves as the Managing Partner of Angelic Ventures. He also serves as the Director of Morgan Stanley, Merck & Co., Inc., K2 Intelligence, the Council on Foreign Relations, and several other boards. In addition to Mr. Glocer, the group has also appointed Howard Edelstein to its board, after serving two years as a Strategic Advisor. Mr. Edelstein is presently the acting Chairman and CEO of BondDesk Group as well as active at Algomi. For his part, Mr. Glocer has also made a financial investment in the group as well. “We are also delighted to appoint Howard to our board, following his strong support of Algomi for the past two years in his role as a Strategic Advisor. Howard brings an unparalleled expertise and enthusiasm for the industry, boasting 30 years’ experience in financial technology,” he added. “Fixed income markets continue to suffer from a lack of liquidity. This will only worsen as capital requirements bite. Algomi’s approach of creating a bank balance-sheet based on actual data, and virtualising the assets in the market is fascinating and I’m looking forward to working closely with them,” noted Mr. Glocer in an accompanying statement.